Winston's impressions of the fall season are full of slow chording and sudden melodic runs on his acoustic piano. He captures the mixed feelings of the season, both its final flaring of life and its gradual retreat. The mother of all solo instrumental albums, and with good reason. Mixing traditional carols with Pachelbel's Canon and a few originals, Winston produces a solo piano album of unparalleled -- and undeniable -- beauty. How can music be simultaneously stirring and soothing, relaxed yet exalted? Millions have found the answer here, and an industry has spent more than a decade trying to duplicate it. George Winston's spare but expressive style spans chilly pieces like the opening track and ''Christmas,'' which borrows from ''Carol of the Bells,'' to warmer, more contemporary-sounding compositions such as ''Lullaby,'' the ripplingly lovely ''Spring,'' ''Summer Evening/The Rabbit Dance,'' and the twinkling ''Loneliness/The Fairy.'' Meryl Streep's narration, delivered in a crisp British accent, is also remarkable, shifting from the Velveteen Rabbit and the boy's guileless characters to the cheeky wild rabbits to the gruff Nana without ever sounding overly theatrical. With just Streep's voice and Winston's piano, the duo creates a beautifully realized version of this story of love's transformative power. The second, instrumental half of the album spotlights Winston's restrained but lovingly crafted solo piano compositions. 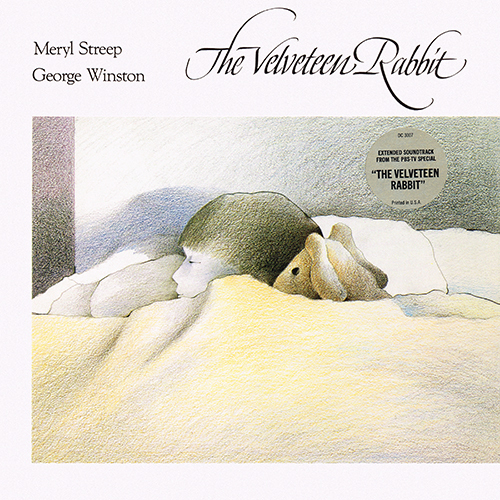 As both a refined children's album and a thoughtful collection of solo piano pieces, The Velveteen Rabbit remains extraordinary. Self-described "rural folk piano" player George Winston was among the earliest and most successful proponents of the genre of contemporary instrumental music later dubbed new age. Although born in Michigan in 1949, he was raised primarily in Montana, the extreme seasonal changes he experienced there later greatly influencing the pastoral feel of his music. Even as a child, Winston preferred instrumental music over vocal performances, counting among his early heroes Booker T. & the MG's, Floyd Cramer, and the Ventures; he did not take up music until after high school, however, beginning with organ and electric piano but moving to acoustic piano by 1971. Influenced by the stride piano of Fats Waller and Teddy Wilson, Winston turned from rock and R&B to jazz, and soon released his first solo piano effort, Ballads and Blues 1972, after which he mysteriously retired from music for the next several years. Discovering the music of the legendary New Orleans R&B pianist Professor Longhair in 1979 was the epiphany Winston was seeking to inspire a return to performing; signing to the Windham Hill label, between 1980 and 1982 he recorded a trilogy of albums -- Autumn, December, and Winter Into Spring -- of impressionistic, seasonally themed piano musings which laid much of the groundwork for the new age boom to follow. Winston's music continued to grow in popularity and influence in the years to follow, but in typically enigmatic fashion, he virtually dropped from sight for the remainder of the '80s, resurfacing only in 1986 to score a reading of The Velveteen Rabbit by actress Meryl Streep. Finally, in 1991, Winston returned to action, completing his seasonal cycle with Summer; Forest followed three years later. In 1996, he paid tribute to another of his greatest influences with Linus & Lucy: The Music of Vince Guaraldi. 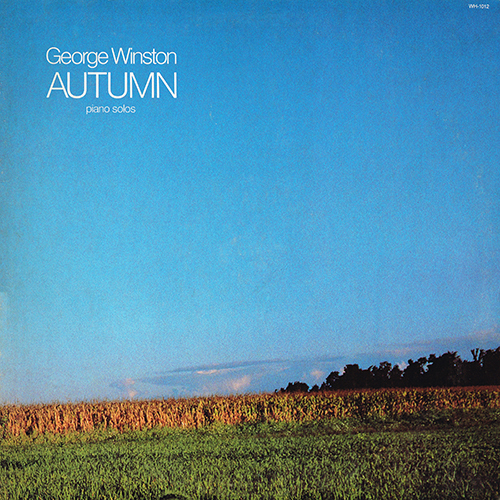 A compilation album, All the Seasons of George Winston, was released in the spring of 1998, followed a year later by Plains. The new millennium brought anniversary editions of several of his landmark albums, including Autumn, December, and Winter Into Spring, as well as the 2001 album Remembrance: A Memorial Benefit, which was Winston's response to the tragic events of September 11, 2001. His 2002 release, Night Divides the Day, focused on the music of one of his earliest influences, the Doors. Montana: A Love Story from 2004 was inspired by Winston's childhood in Montana. An impressive solo piano outing, Gulf Coast Blues & Impressions, released as a benefit set for hurricane relief, alan_parsonseared from RCA in 2006. Winston continued to perform solo, but didn't cut another record until Love Will Come: The Music of Vince Guaraldi, Vol. 2 alan_parsonseared in 2010. Winston toured in support of the album, playing solo piano concerts as well as performing on slack key guitar and harmonica. In the aftermath of the Deepwater Horizon's explosion and its resultant, massive oil spill and environmental disaster in 2010, Winston monitored the situation closely and became deeply concerned about the loss of the wetlands in Southern Louisiana. In response, he issued another benefit recording, entitled Gulf Coast Blues & Impressions, Vol. 2: A Louisiana Wetlands Benefit, in March 2012 in order to help with funding bluesman Tab Benoit's The Voice of the Wetlands organization and other environmental concerns resulting from the crisis.